Paragon Design, Inc. is a Design and Drafting company specializing in Residential Drafting and Design , Commercial TI and Space Planning and complete design serving the entire Southern California area. We prepare blueprint drawings for clients to obtain building permit, planning permit or land use permit. Paragon Design, Inc. is well versed with the different styles and have incorporated these styles to reflect the individual personality of the clients, i.e. Traditional, Spanish, Tuscan, Italian, Craftsman, Asian, Ultra-modern or Eclectic. We not only provide the residential design but the complete residential drafting service as well. We have also been commissioned to design several remodel of existing homes. ALL our clients have been very pleased with the reality of their dreams. So even existing homes would look like million-dollar custom homes with the facade that is distinct and improved in their neighborhood. We have expertise in kitchen design, bathroom design, cabinet design, disability design even landscape design. We create 3d models that would aid in visualization of the project. Corporate space planning and Interior design that reflects the nature of the clients' business have been our focus as well as cater to clients' special needs. We are also sensitive to clients' design preferences and feng shui to make the users more at ease with their work environment. We have done Los Angeles interior design as well as other tenant improvement throughout Southern California. Over the years, Paragon Design have designed commercial buildings using tilt-up construction, concrete construction, masonry construction and wood construction. Paragon Design, Inc. also provides detailing and complete working drawing to other Architects and drafting service to Structural, Electrical, Mechanical Engineers, as well as landscape design for Landscape Architects. 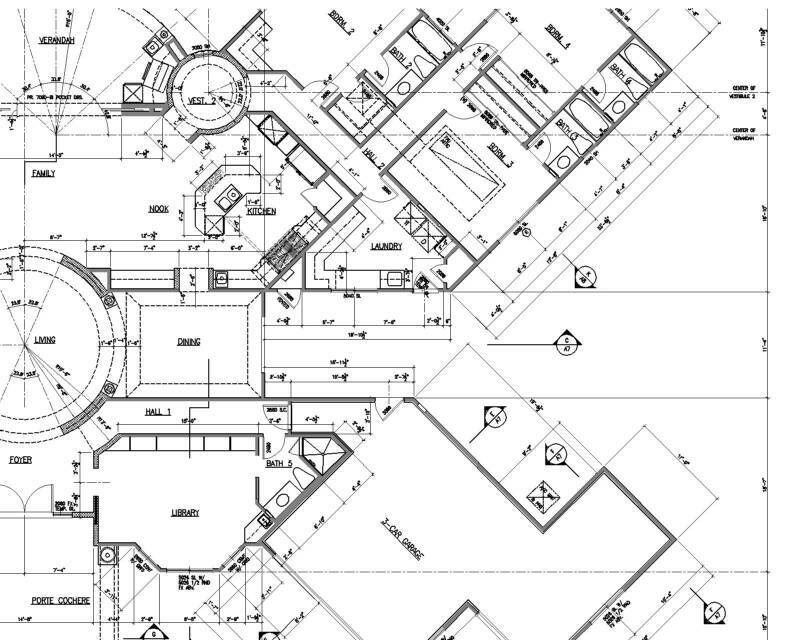 We have converted existing hand drawn drawings to CAD using Autocad or their preferred program. We also use Chief Architect for our 3d modelling.